Source Originally from en.wikipedia; description page is/was here. Transfer was stated to be made by User:Geanixx. 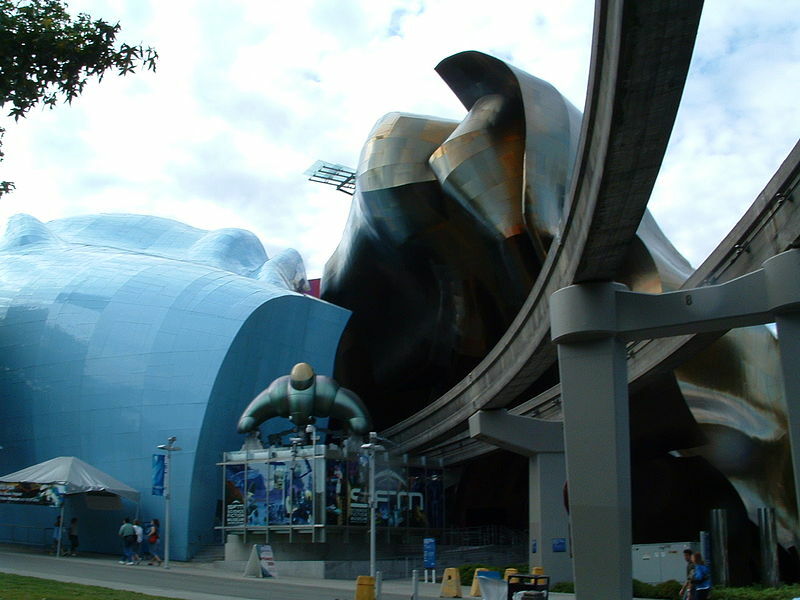 2006-08-16 00:54 Reywas92 1280×960×8 (350836 bytes) Photo of the Seattlle Center Monorail tracks going through the EMP building and by the SciFi Hall of Fame Museum sculpture. Taken by [[User:Reywas92]] on August 2, 2006.